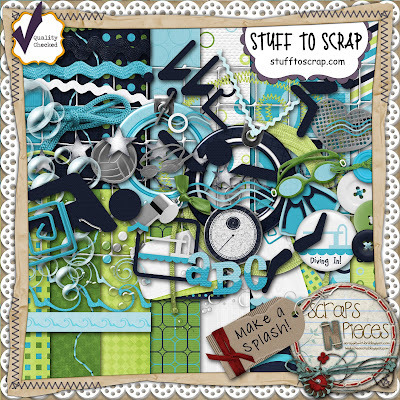 Introducing a fun new kit from Scraps N' Pieces called Make a Splash. This kit is a great addition to all their other sports kits - created for water sports such as swim team, diving, and water polo. But these bright, vibrant colors make it easy to use with any pool, summer pictures. Wanna go grab this new kit? How about heading over to their new store? Yes. I said "new" store. 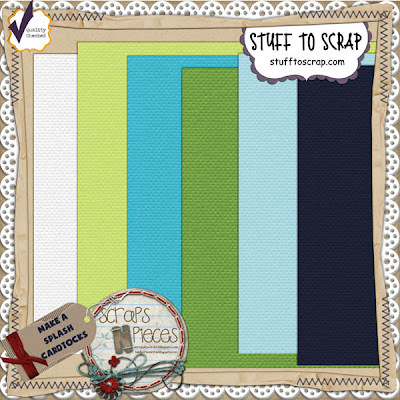 The kit and cardstock are still available at Stuff to Scrap, but Lori and Heidi have set up their own store via their web site (http://www.scraps-n-pieces.com/store/). You can continue to shop at STS and purchase their kits and cardstocks separately OR you can shop via their site and purchase them together. Product images are linked to STS Store. Here is the layout I created for the August Scraplift challenge. Image is linked to STS Gallery.